Our family - We may not have it all together, but together we have it all! Isn´t that just the story of so many families: If it applies to you then this wall text sticker is perfect! 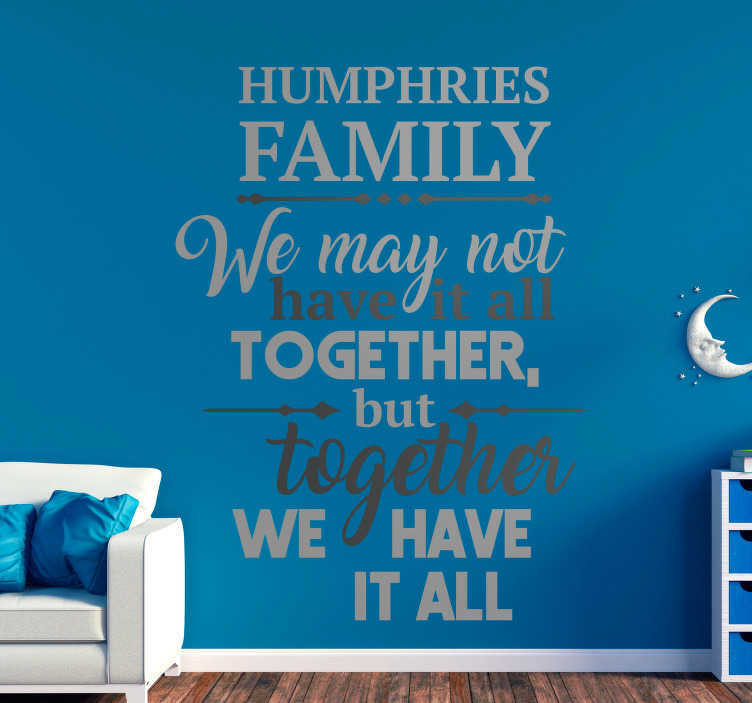 A fantastic popular saying vinyl sticker for those who have it all with their own family!